We Rallied and Marched in Honor of Rev. Dr. MLK, Jr.
All of El Centro de la Raza participated in the rally and march on Monday, January 21 to honor Dr. King’s messages of equality, democracy, and freedom. 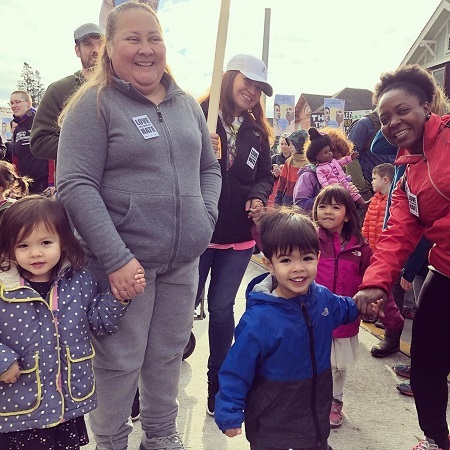 Featured above, children from our Child Development Center Chinatown International District location exercised their civic engagement. While discussing these values in the context of today’s political climate with young children could be challenging, it is important to educate them about the importance of equality and how to treat others including those who are different from them. Please support our teachers at José Martí Child Development Center to keep doing this important work by making a gift today.